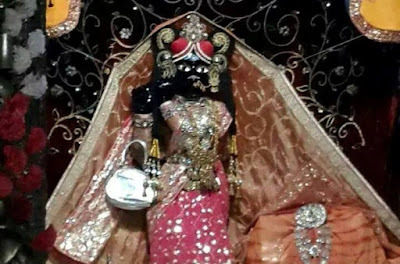 The Congress and BSP have decided to come together to protest against the state government’s decision to acquire the famous Banke Bihari temple in Vrindavan, alleging that it would monopolise temple activities and disturb the faith of devotees. Presently, the temple is run by a private management committee comprising 80 members along with dozens of priests. The proposal for acquiring the temple was initiated by the state government after a senior IAS officer was fined by the committee for taking VIP treatment, temple administration claims. “The officer used a table and chair and had food on the campus which is prohibited. We imposed a fine of Rs 7.50 lakh on ‘Sewayat Gosains’ (Saraswat Brahmins who serve Bihari ji) for this act. After reaching Lucknow, the proposal for acquiring the temple was initiated. This will result in corruption in the temple,” Nandkishore Upmanyu, president, Banke Bihari Temple Committee told The Indian Express. “We are also going to start a free hospital, dharamshala, school and garden for Thakur ji’s Shringar. We cannot allow government interference as it will result in destabilising the set practices,” Upmanyu added. Pledging their support to the Banke Bihari Temple Committee, local BSP MLA Raj Kumar Rawat and Congress Legislature Party leader and MLA Pradeep Mathur, along with various local Hindu organisations such as Dharam Raksha Sangh and Hindu Jagran Manch have come together to oppose the government’s decision. Government officials dismissed the protest as handiwork of those with vested interest. “Our main concern is security and facilities to the devotees. Most of the time these people are fighting among themselves. Only those who have vested interests are protesting. They have sought time and we have given them time for hearing their representation,” Navneet Sehgal, Principal Secretary, Religious Affairs department said. The temple receives nearly Rs 50 lakh per month as donation from devotees, while nearly Rs 1.20 crore is spent on private security and housekeeping. The temple is served by nearly 550 Saraswat Brahmins who trace their origin to Swami Haridas who had set up the temple nearly 550 years ago. Swami Haridas was the guru of music maestro Tansen. Presently, the temple is visited by lakhs with waiting period of over a year for participating in Phool Ka Bungla (floral decoration) among devotees.